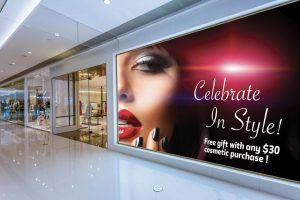 From graphic design to printing, to installation, we can handle all your retail graphic needs. Founded in 1963 by Larry Kosta and his wife, Deanna, Advance Blueprint was born. Meeting the 21st century’s ever-evolving graphics needs with the same kinds of innovations our parents used to build our family business on, Advance Reprographics now reaches across North America. We proudly offer our valued customers online products and services at competitive rates. We are never lacking in our commitment to exemplary customer service. Advance Reprographics prints a variety of printing products including digital printing, copies, large format printing, and retail graphics. Same day shipping happens all the time around here! Now that you know more about us, give us a call or visit our shop. We’re always happy to help! We offer quick & efficient printing quotes for a hassle-free & convenient ordering process. Drop us a line, and we’ll give you an idea how much a printing job would cost. Submit your specs now, and our staff will help you with everything you need to fulfill your price and order.